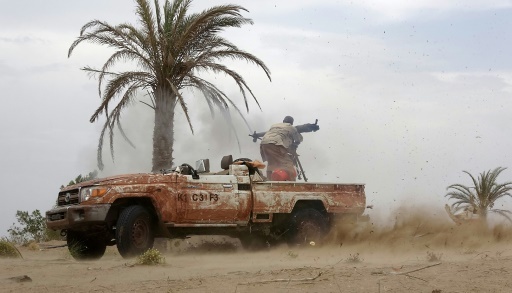 Khokha (Yemen) (AFP) – Pro-government forces fighting Yemen’s Huthi rebels are sending reinforcements towards the port of Hodeida, military sources said Tuesday, amid UN warnings against a high-stakes battle for the key aid gateway. AFP / NABIL HASSAN. A pro-government Yemeni soldier looks through binoculars on June 7, 2018, near al-Jah in Hodeida province. AFP / AFP. 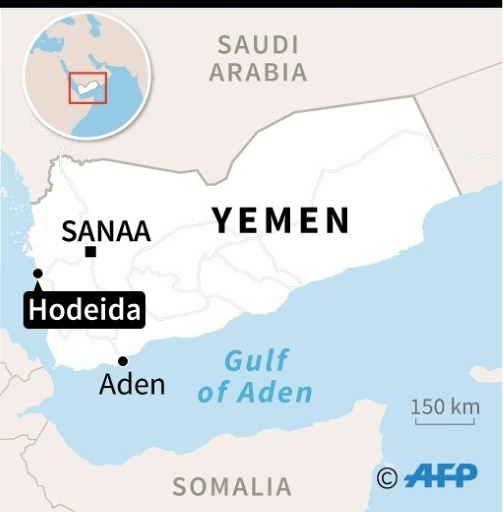 Map of Yemen locating the rebel-held port of Hodeida, now the target of Yemeni government forces. Featured Photo: AFP / NABIL HASSAN. 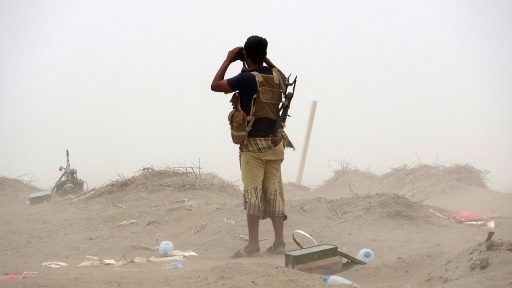 A pro-government Yemeni soldier on June 7, 2018, near al-Jah, 50 kilometres from the port city of Hodeida. Fawaz al-Haidari has reported on Yemen and the Middle East for AFP, Yahoo, The Daily Star, The National, among other news outlets.